This list is also sort of a companion list to The Best places to learn Web 2.0 basics. As another installment in that series on blogs, I thought it might be useful if I shared my picks for The Best “Practical” Ed Tech Blogs. By that, I mean blogs that regularly share “how-to” posts for people, like me, who are not particularly technologically savvy and learn best through a simply-explained step-by-step approach — ideally with screenshots and/or videos. It’s a pretty short list. There are lots of great edtech blogs out there (and I’ll be composing lists for other categories) , but really not many who fit this criteria. I have to start with both of Sue Waters’ blogs. One used to be called Mobile Technology In TAFE, but I see it’s now been changed to…Sue Waters Blog. 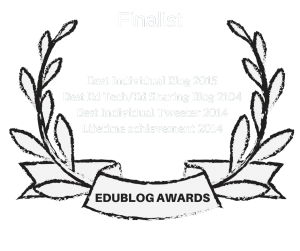 Her other blog, of course, is The Edublogger. Another obvious choice for this list is Silvia Tolisano at Langwitches. Her screenshot tutorials are awesome. 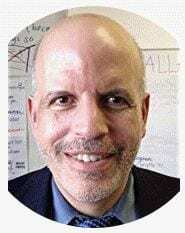 Nik Peachey’s Learning Technology Blog is another good one that’s geared towards ESL/EFL teachers, but his practical posts are useful to anyone. Recently, Richard Byrne seems to have begun including more “how to” screenshots and videos into his blog posts at Free Technology For Teachers so, along with being on a bunch of other “The Best…” lists, I’m adding him to this one, too. Larry, it’s a mini-miracle- I can get on your web site! I have continued to have that crazy problem of it coming up as a video object. My get-around is I can view your posts and get your links through bloglines, except for the best of lists : ( …. Now I am afraid to navigate off the page!